Fleet management software is essential for any business with a fleet of vehicles, as it enables you to do a series of important tasks and to manage every single aspect of your fleet, ranging from purchasing to maintenance and disposal of vehicles. It has become increasingly important as the amount of vehicle-related legislation is always expanding. The most important purpose of fleet management software is to collect, store, process, monitor, report and export information. 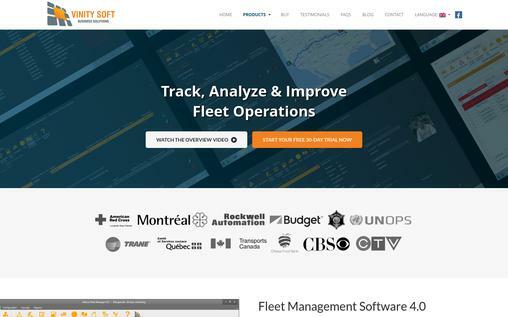 Fleet management software can be developed by the company itself, and it can also be purchased from a third-party company.For companies, which would rather choose the latter, here are 10 of the best fleet management software available on the market. 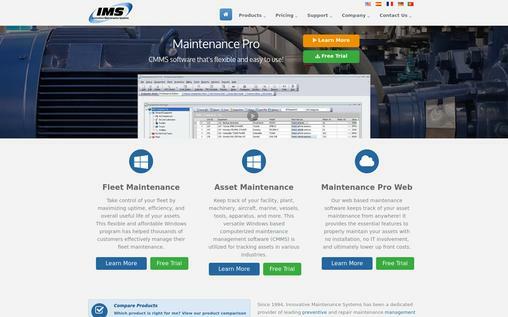 Fleet Maintenance Pro is a product of IMS, a company founded in 1994. It’s a quick and reliable maintenance tracking software, which lets you have full control over your fleet, including preventive, and repair maintenance. Preventive maintenance – It can be configured by date, hours, mileage, revolutions, etc. Repair maintenance – Allows you to manage breakdowns and unexpected issues with your vehicles. The software also includes maintenance notifications. Reporting – Allows you to print, email and export reports, from simple fleet listings to detailed cost analysis. Parts inventory – Complete inventory management system, capable of stock tracking, purchasing Three editions of Fleet Maintenance Pro are available: Standard, Deluxe, and Professional. 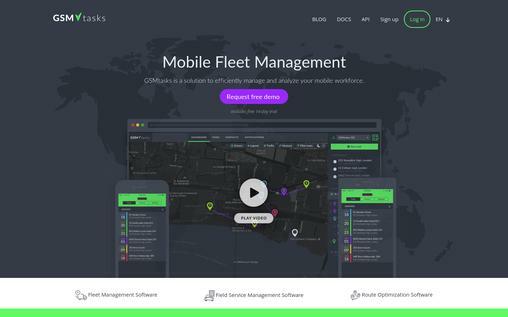 Founded in 2005, GSMtasks offers a solid fleet management service, letting the user have a full overview of their vehicles, whilst being able to update daily tasks. Digital documents – Allows you to go paperless, as every document is available in digital form as well GSMtasks comes with a starting price of $7 per month and also offers a free 14-day trial. As a relatively new company, starFleetio is a new company as it was established back in 2011, still, its progress is exceptional. 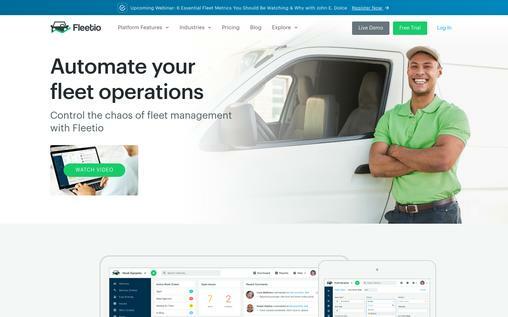 Fleetio helps fleets of all sizes thanks to its excellent, fleet operations and optimization tools. Fleetio also provides collaboration among users, which can be especially useful. 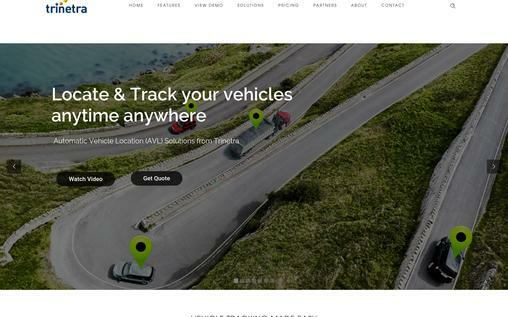 GPS tracking Fleetio has a starting price of $15 per month and offers a free trial. 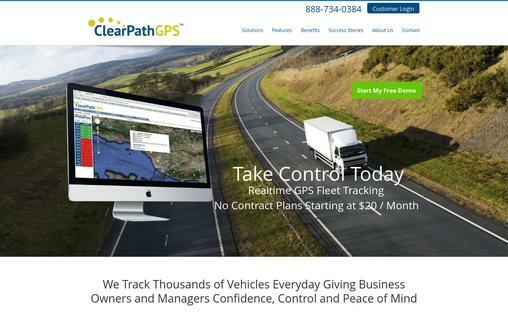 Founded in 2013, ClearPathGPS offers a Tracking on Demand, no contract, no commitment, suspend or cancel any vehicle anytime, service. It is an excellent choice for small to mid-sized local fleets in the service and delivery, construction, landscaping, plumbing etc. Vehicle Behavior Scorecards – Lets you identify aggressive, potentially dangerous drivers in your fleet ClearPathGPS lets you schedule a live demo to test out the features. 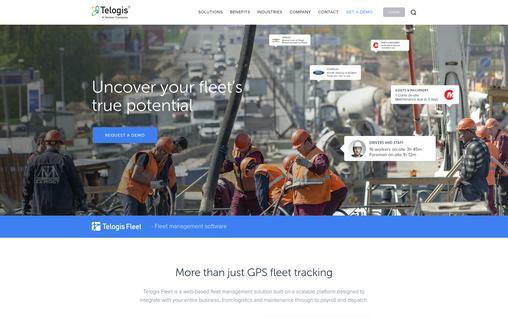 Telogis is a provider, founded in 2001 and is unique on the market of fleet management systems because it offers a single integrated platform to cover all your location intelligence needs. API integration – Allows you to integrate with other enterprise systems. Telogis offers users a free demo to try out the features. 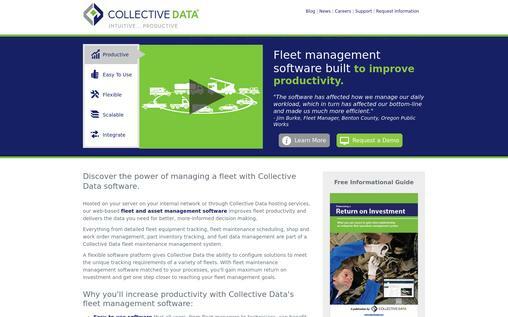 CollectiveFleet is easy to use fleet management software offered by Collective Data, a reliable company, founded in 1997. This powerful software for fleet management is perfect solution doe fleet owners looking forward to simplifying their job. The software is also capable of managing service requests, accident management, parts inventory, shop assignments, equipment information, and employee data. Trinetra offers vehicle tracking and fleet management software that can assist you with managing vehicles and assets. It does a good job integrating location, tracking, and security. 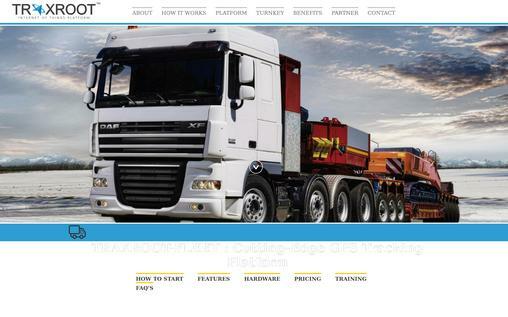 Traxroot Fleet is a GPS tracking server software developed by Traxoidautomations, which was founded in 2014. The software comes with advanced features and an excellent interface. The company offers a very affordable starting price of just $3 per month for a vehicle. ProvaSystemsare the company responsible for this cloud-based fleet management and vehicle maintenance system. 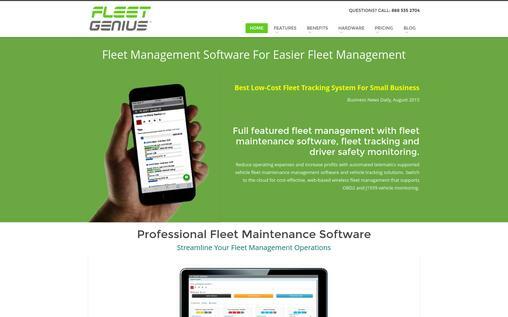 Fleet Genius uses plug-in wireless fleet vehicle monitors, and it works on PC browsers as well as smartphones. Fleet Genius is especially suitable for small businesses as it is very simple and affordable. The smartphone app lets you enter fuel receipts, record vehicle odometers, enter maintenance invoices, enter service records, create maintenance actions, schedule preventive maintenance. Fleet Genius comes with a starting price of $3.95. VFM is a fleet maintenance software capable of servicing fleets of every size. It also comes with in-depth reporting, making you 100% informed about your fleet. It is developed by a Canadian company – Vinity Soft, which was founded in 2007. The software also lets you run in-depth reports and careful data analysis to rate your fleet and find the potential for improvement. The pricing for this fleet maintenance software ranges from $90 to $900. For every business that has a fleet at its disposal, a proper fleet management software is a key aspect for efficiency and success. The list features the most credible software used in a professional setup. Keep all of your requirements in mind, and select the one that suits your needs and requirements the most.